Selfies on the bus before Reach Out Saint Rose, Fall 2013! Reason for becoming an RA: I originally became an RA because I had a great RA my freshman year. She was such a helpful and kind person, who was there for all of us when we were going through the tough times that freshman year is sure to bring for any student. I wanted to help others, and be there for people, just as she had been there for me. Favorite thing about the job: My favorite thing about being an RA is interacting with residents. I have met so many new people as a result of my position and it is a really great opportunity to connect with many different people. 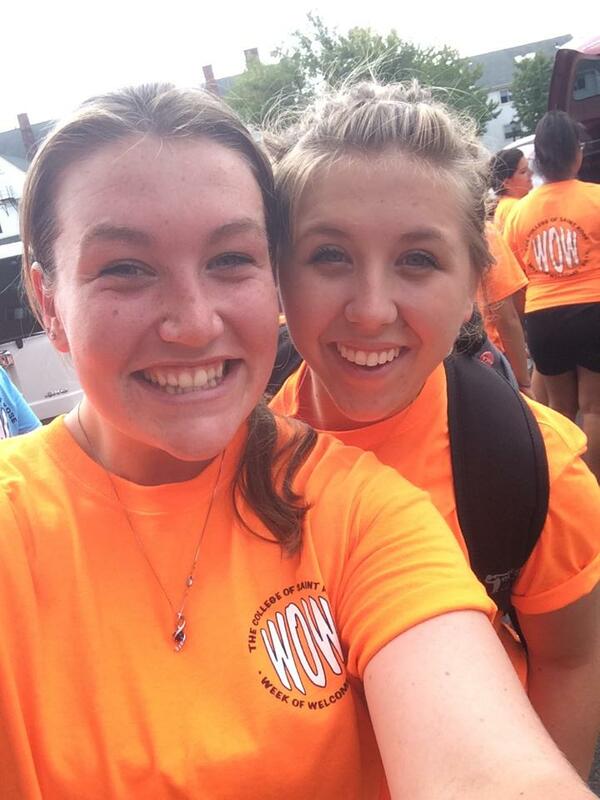 Chelsea, and RA McKenzee Greene moving in Freshmen, Fall 2014. Most memorable RA moment: My most memorable moment over my years of being an RA was in my first housing placement. I had a resident come to me saying that she just went into the bathroom and discovered that there was red stuff all over the bathroom. I sprang out of my room and ran down the hallway to the bathroom where she told me the red stuff was (shocked, and worried that the bathroom may be covered in blood or that someone might have been hurt.) When I got into the bathroom, I found that someone in the building had sprayed ketchup all over the bathroom. It was a mess. I had no idea what to do but laugh. I still don’t know who the Condiment Creaton was, but I still find it very funny. 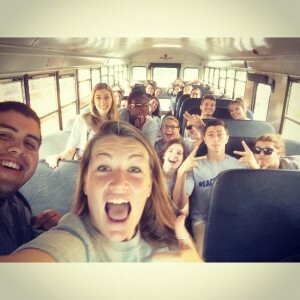 What people should know about RAs: We definitely don’t want to be the fun-ruiners on campus, and RAs can be a whole lot of fun once you get to know them! We are young students, just like everyone else. Favorite class at Saint Rose: My favorite class at Saint Rose was my Social Theory class. I took it second semester sophomore year as a requirement for my Sociology minor. We read a lot of classic sociological and philosophical work by Karl Marx, Max Weber, etc. I know that makes me sound like a HUGE nerd, but theory is always the most fun for me. That was one of the most eye-opening classes for me. 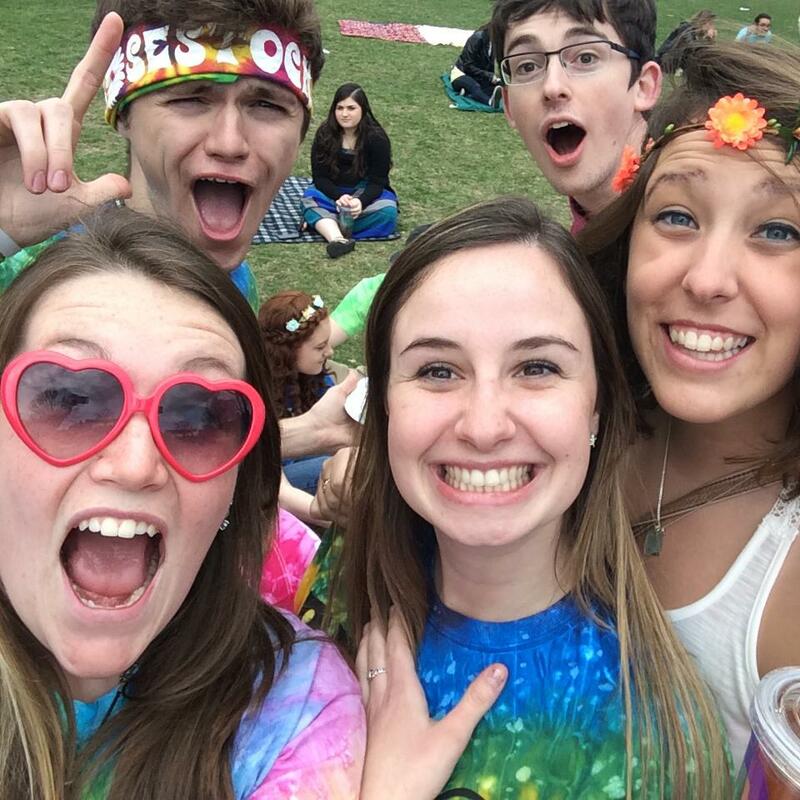 ​Group of RAs gathered on the quad during Rose Rock 2014. Goals after graduation: After graduation, I will go to study at The State University at Albany- Rockefeller College of Public Affairs & Policy, for my PhD in Political Theory. I still can’t believe that I will be going for my PhD right out of undergrad, but I am excited for the journey to begin! Right now, I see myself pursuing a career in teaching college students in the future! Favorite Albany hangout: My favorite place to go in Albany is Lil’ Buddha Tea on Lark Street. It is such a cute place, with an immensely calming atmosphere. It is a nice getaway that’s not too far away. Favorite late night snack: Trail mix and granola! Random fun fact: I LOVE hula hooping. It is my favorite hobby, and I am pretty well-known for it on campus. ← Good to know: Step 1: see art. Step 2: write something!